At just 40 light years from Earth, Gliese 1214b is one of the nearest Super-Earths we've discovered in our search for planets beyond the solar system. Now, a team of Japanese researchers say it could well be an "ocean world," abundant in good old H2O. The team investigated whether this planet has an atmosphere rich in water or hydrogen. 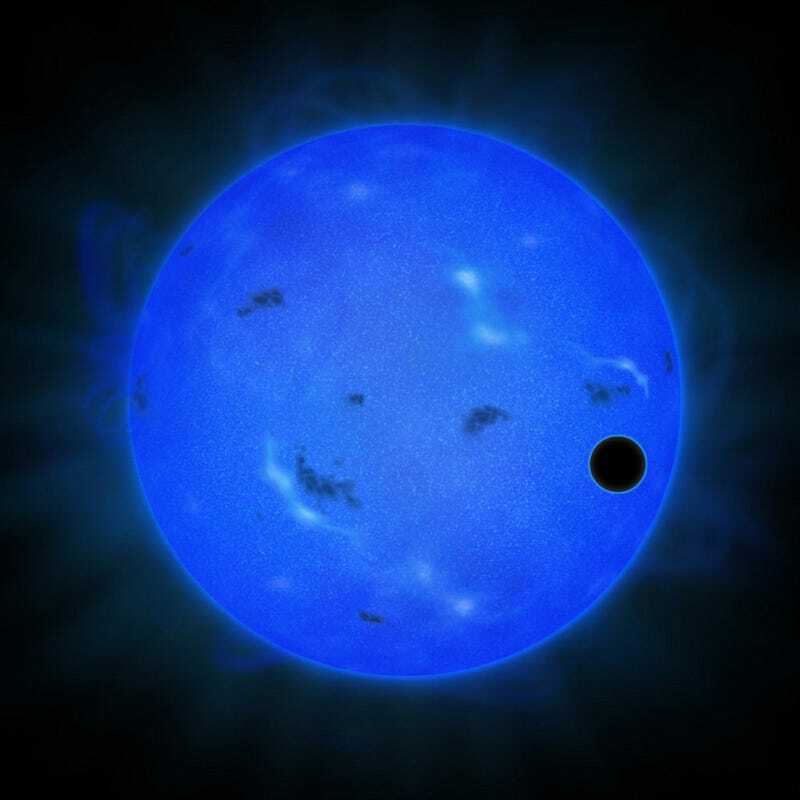 The Subaru observations show that the sky of this planet does not show a strong Rayleigh scattering feature, which a cloudless hydrogen-dominated atmosphere would predict. When combined with the findings of previous observations in other colors, this new observational result implies that GJ 1214 b is likely to have a water-rich atmosphere. Read the full study here. For additional details, head over to NAOJ's Subaru Telescope page.